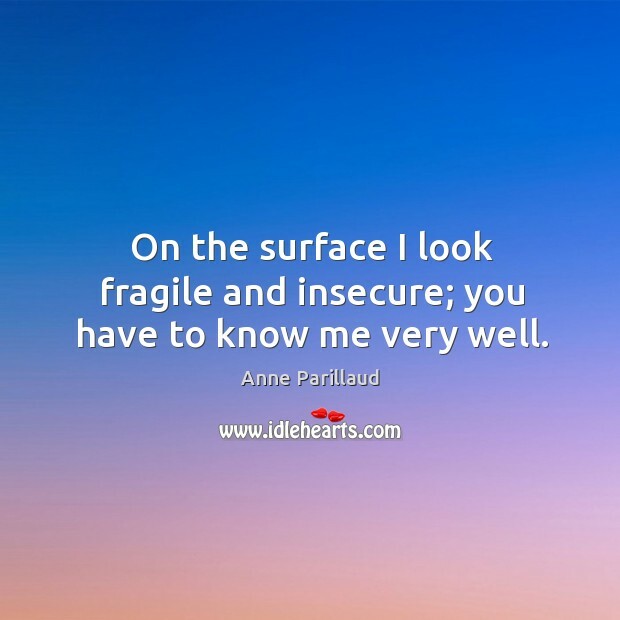 Enjoy the best inspirational, motivational, positive, funny and famous quotes by Anne Parillaud. Use words and picture quotations to push forward and inspire you keep going in life! 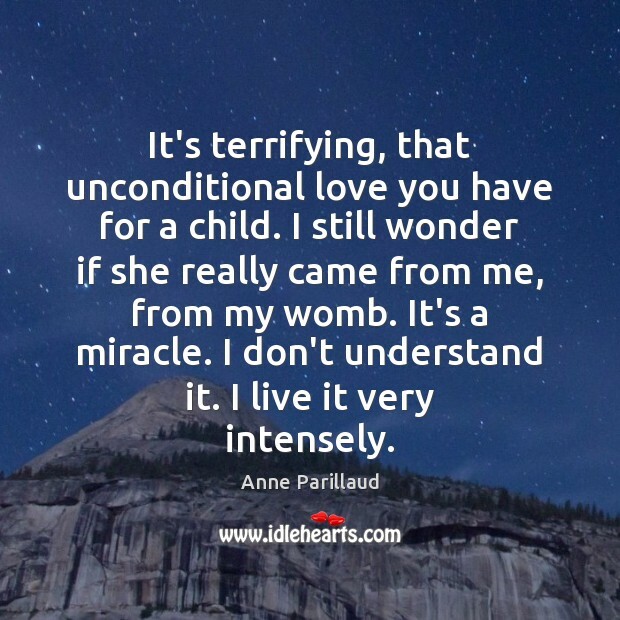 It's terrifying, that unconditional love you have for a child. I still wonder if she really came from me, from my womb. It's a miracle. I don't understand it. I live it very intensely. 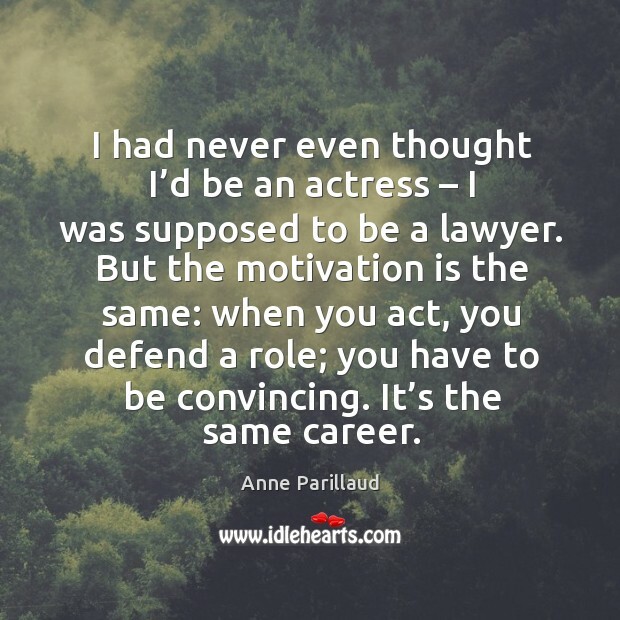 I had never even thought I'd be an actress - I was supposed to be a lawyer. But the motivation is the same: when you act, you defend a role; you have to be convincing. It's the same career. 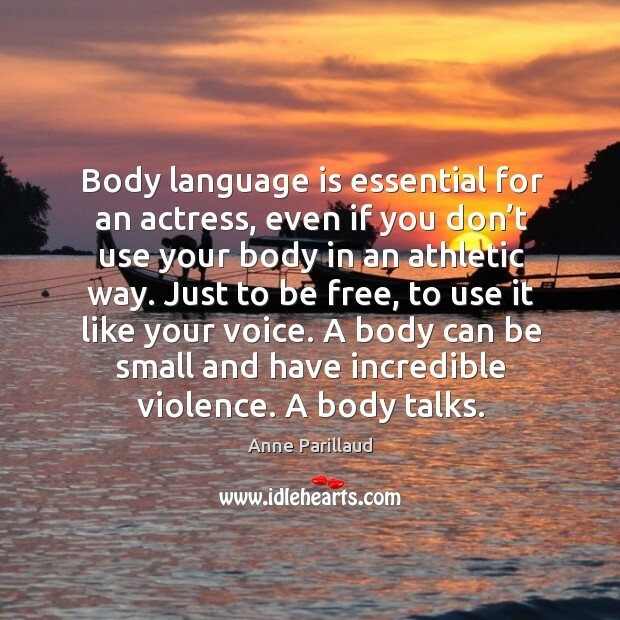 Body language is essential for an actress, even if you don't use your body in an athletic way. Just to be free, to use it like your voice. A body can be small and have incredible violence. A body talks. 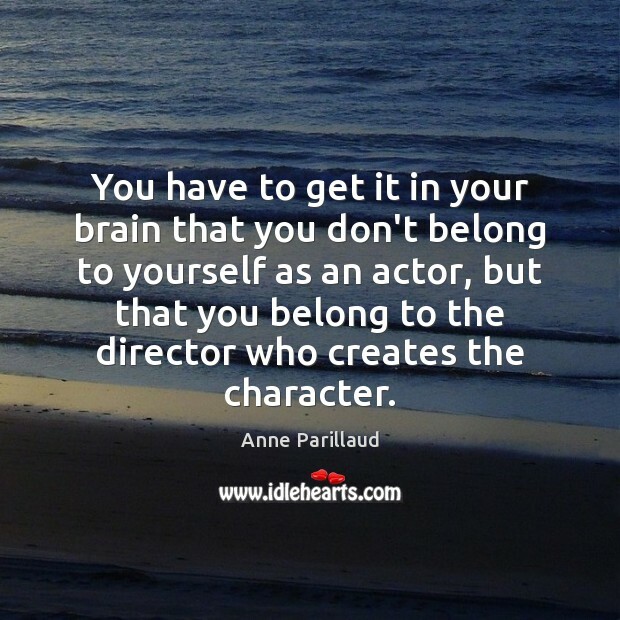 You have to get it in your brain that you don't belong to yourself as an actor, but that you belong to the director who creates the character. 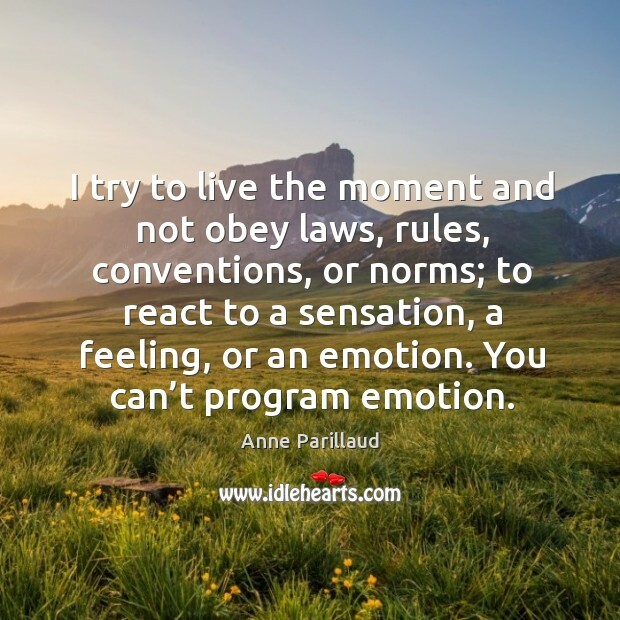 I try to live the moment and not obey laws, rules, conventions, or norms; to react to a sensation, a feeling, or an emotion. You can't program emotion. Knowing what I know of love, I hang back because I don't like to lie to myself. 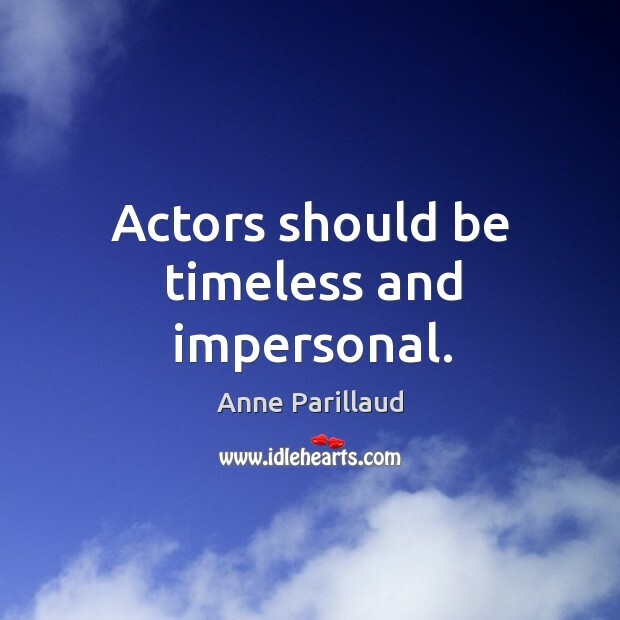 Actors should be timeless and impersonal. Body language is essential for an actress, even if you don’t use your body in an athletic way. Just to be free, to use it like your voice. A body can be small and have incredible violence. A body talks. 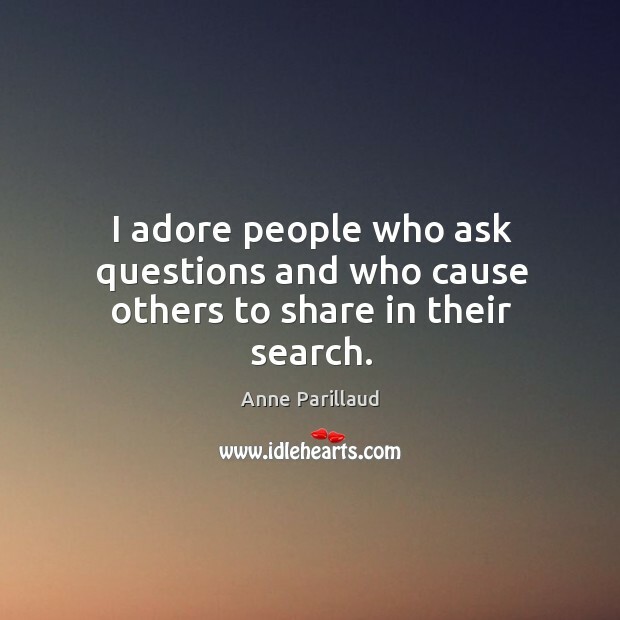 I adore people who ask questions and who cause others to share in their search. 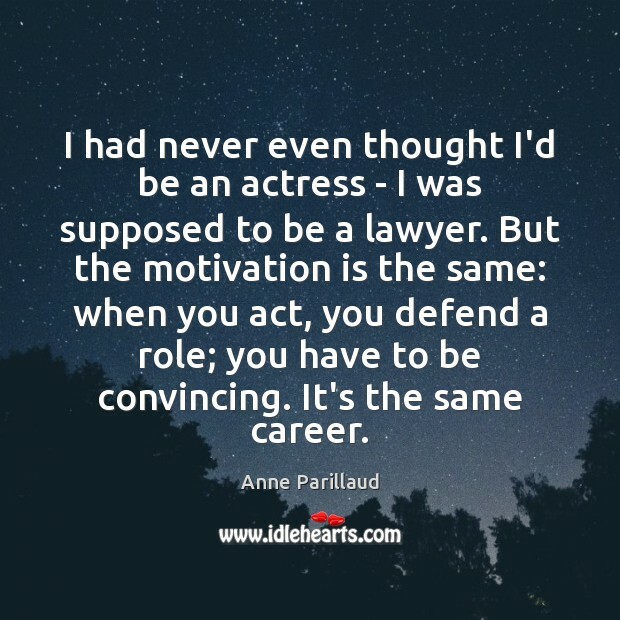 I had never even thought I’d be an actress – I was supposed to be a lawyer. But the motivation is the same: when you act, you defend a role; you have to be convincing. It’s the same career. 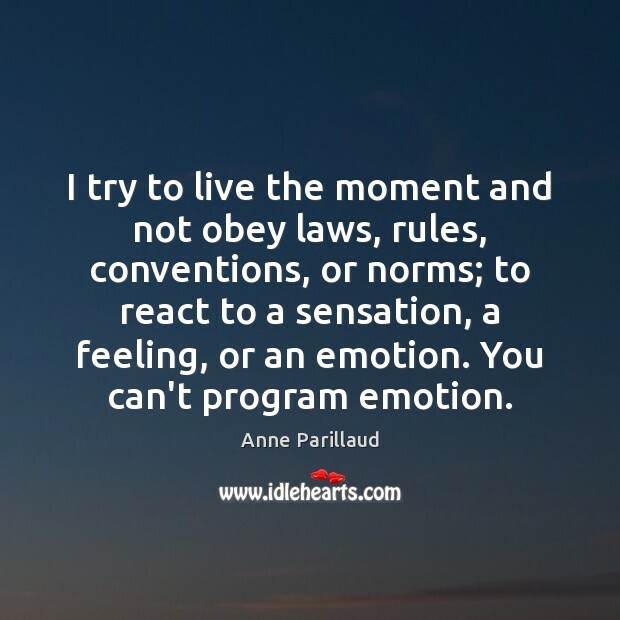 I try to live the moment and not obey laws, rules, conventions, or norms; to react to a sensation, a feeling, or an emotion. You can’t program emotion. 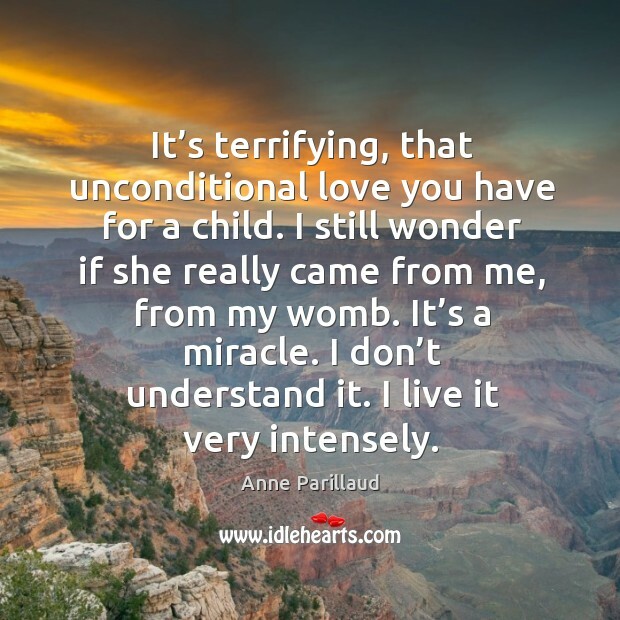 It’s terrifying, that unconditional love you have for a child. I still wonder if she really came from me, from my womb. It’s a miracle. I don’t understand it. I live it very intensely. 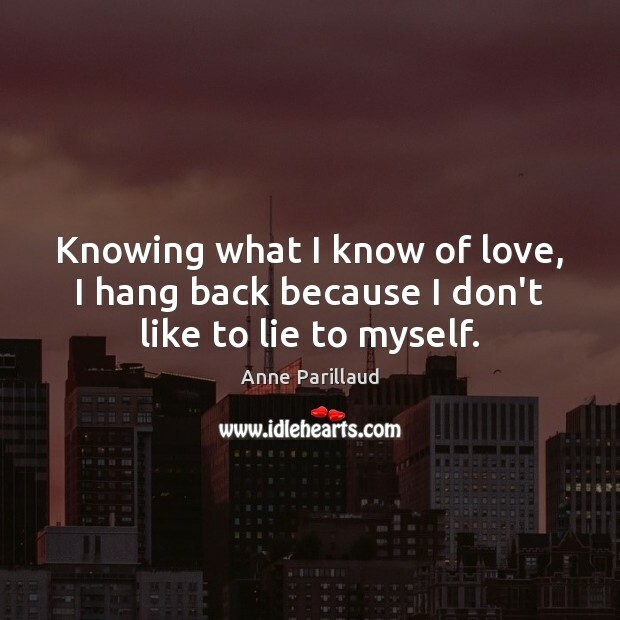 Knowing what I know of love, I hang back because I don’t like to lie to myself. On the surface I look fragile and insecure; you have to know me very well. 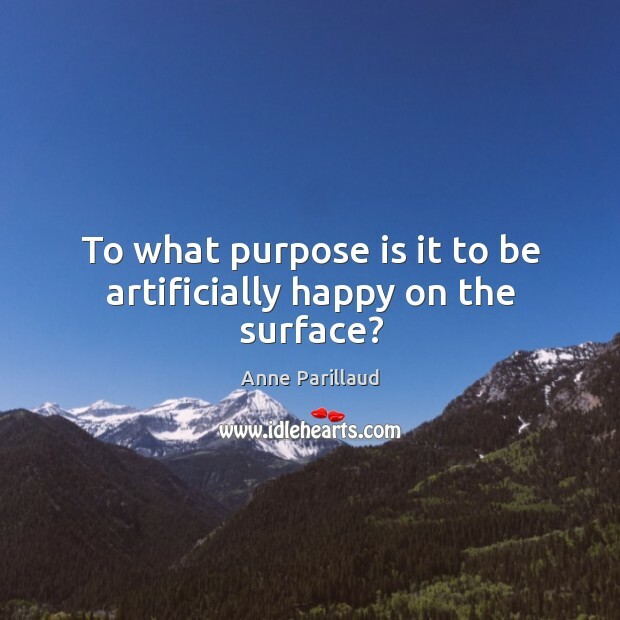 To what purpose is it to be artificially happy on the surface?